Derive Day coincides with the Fourth World Congress of Psychogeography at Heritage Quay in Huddersfield on September 9. Join Dérive app in creating a deck of task cards for the occasion. And, figure out who the Young Men’s Mental Improvement Society were. Dérive Day coincides with the second day of the congress in Huddersfield. Dérive Day runs from midnight to midnight, but during the day, the program has room for participants to go out and explore, joining one of the hosted dérives, running as part of Dérive Day. Download Dérive app (iOS, Android). 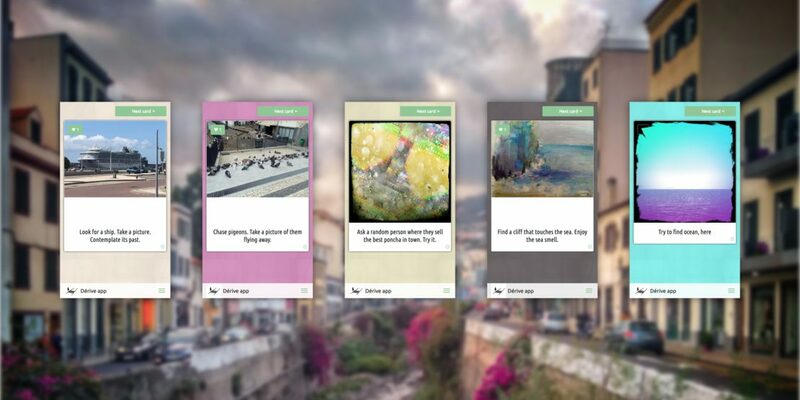 After three quick steps, you can add task cards, vote on others’ cards, and add artwork. Don’t wait till September 9. You can participate now.